If you have any questions about the HULL F78 information page below please contact us. 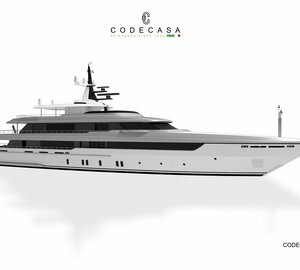 Motor yacht F58 is part of the Codecasa 55 series from the Codecasa shipyard and is constructed with a steel hull and aluminium superstructure built to Loyd's Register standards and is fully LY3 compliant. 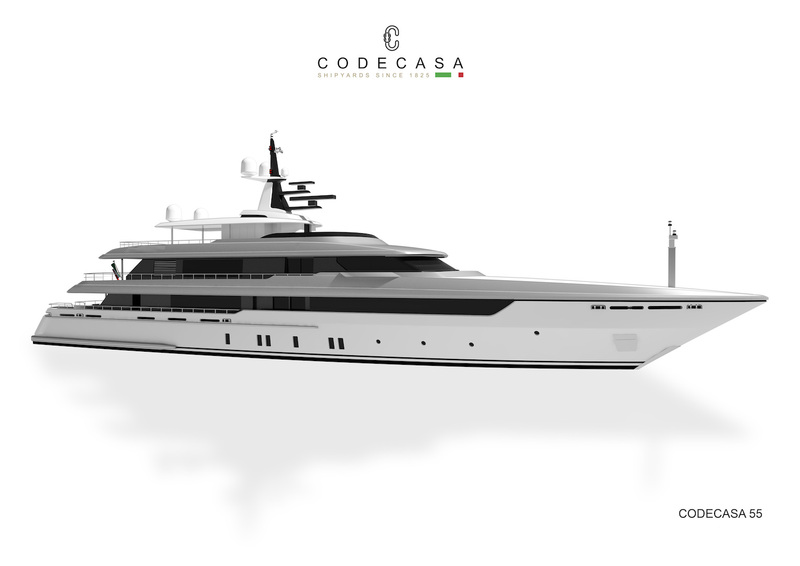 The exterior styling is the work of the Codecasa Technical Team while the interiors are the work of Tommaso Spadolini. 55.3m/181ft luxury yacht F58 is scheduled for delivery in 2021 and her accommodation provides for 10 guests over 5 en-suite cabins with a crew of 13 for excellent service. The exterior profile features a raked bow and strong clean horizontal lines with the hull, superstructure and glazing showing an unbroken appearance from bow to stern. The sundeck hosts a large swimming pool and the surrounding sun bathing area ensures that guests can rest and take in the views from an elevated position. The interiors are the work of Tommaso Spadolini and further details will be forthcoming. Twin Caterpillar 3512E engines provide a maximum speed of 17 knots with a range of 5,000 nautical miles at 12 knots. The accommodation sleeps a maximum of 10 guests across 5 large en-suite cabins: 1 Master suite, 2 VIP staterooms and 2 additional guest cabins. The crew cabins accommodate a crew of 13. We do have available further amenity, owner and price information for the 55.30m (181'43") yacht HULL F78, so please enquire for more information. The luxury yacht HULL F78 displayed on this page is merely informational and she is not necessarily available for yacht charter or for sale, nor is she represented or marketed in anyway by CharterWorld. This web page and the superyacht information contained herein is not contractual. All yacht specifications and informations are displayed in good faith but CharterWorld does not warrant or assume any legal liability or responsibility for the current accuracy, completeness, validity, or usefulness of any superyacht information and/or images displayed. All boat information is subject to change without prior notice and may not be current.